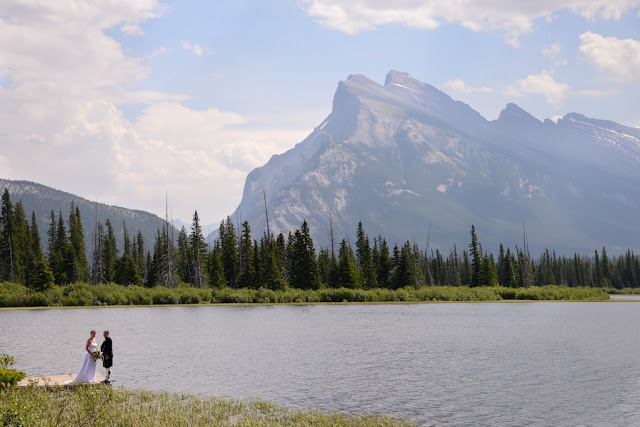 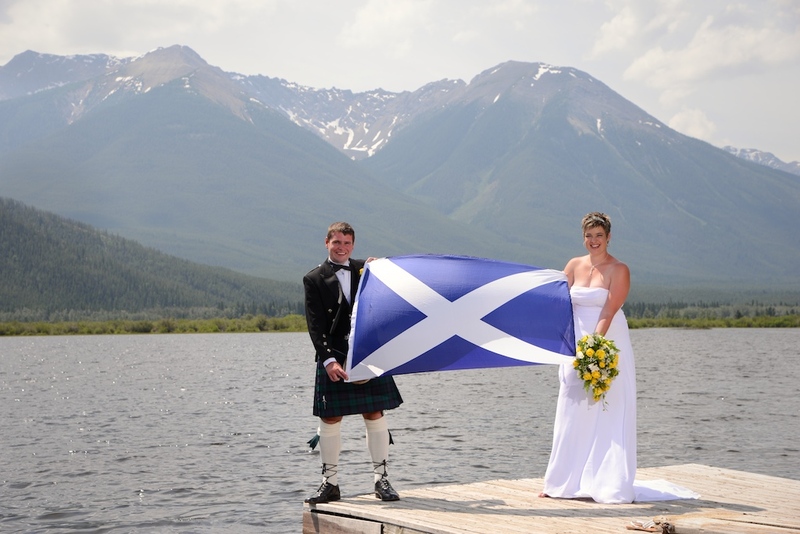 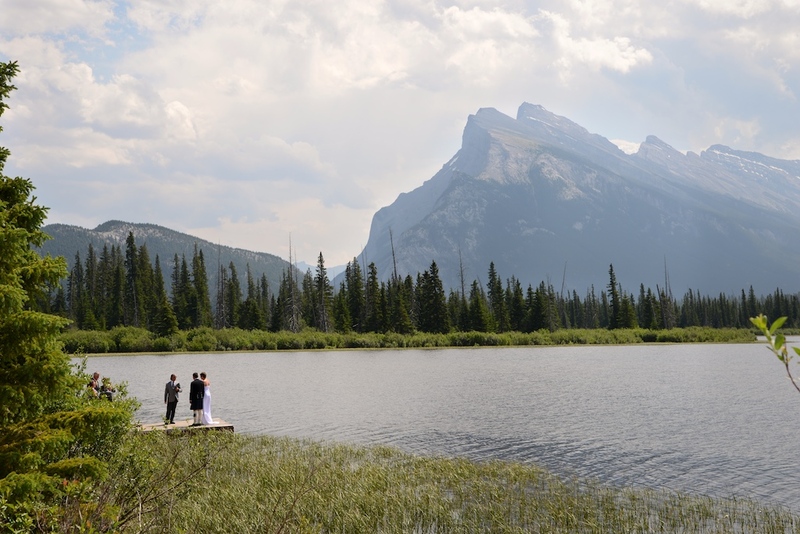 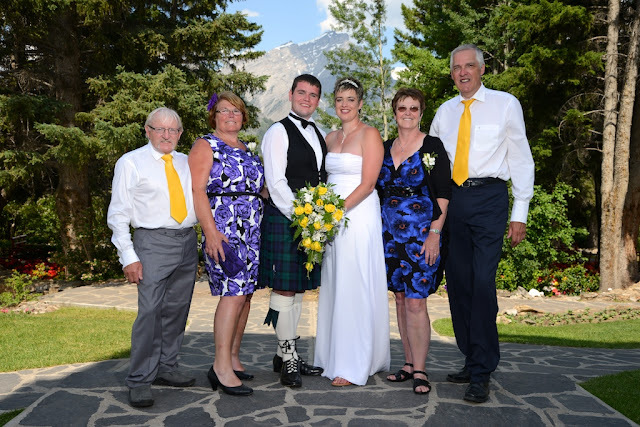 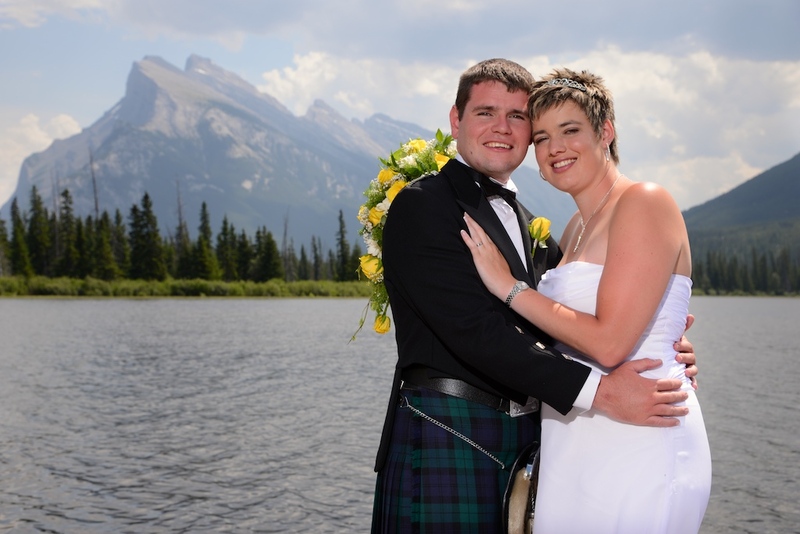 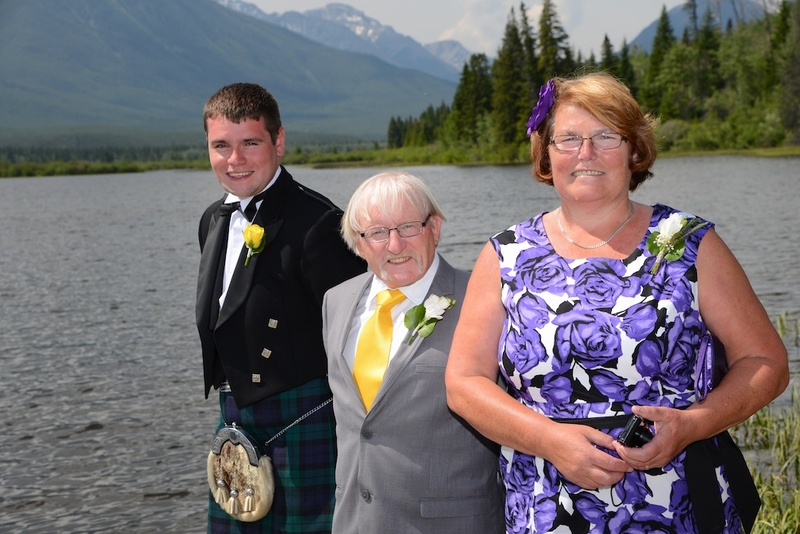 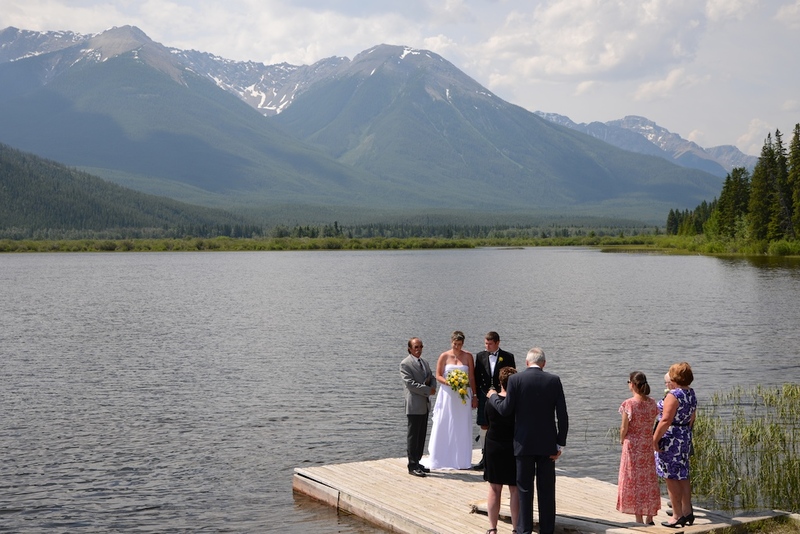 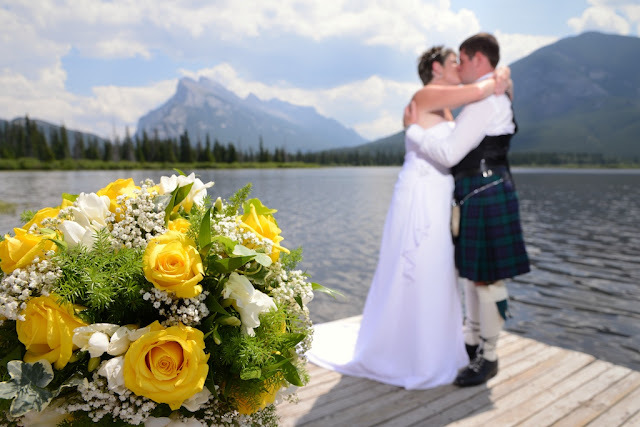 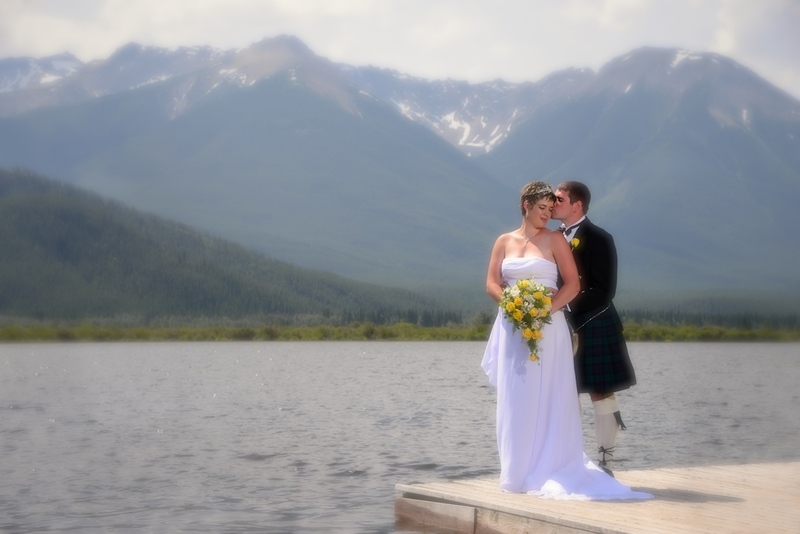 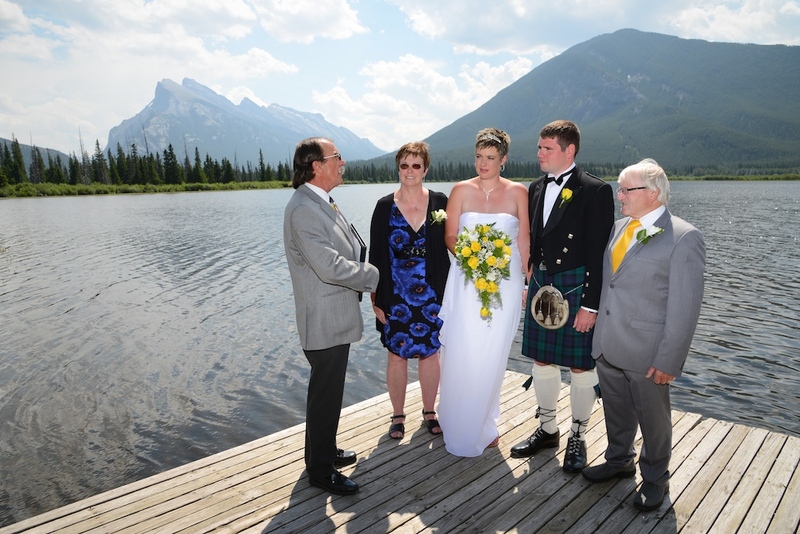 The couple chose Vermilion Lakes as the backdrop for their marriage ceremony. 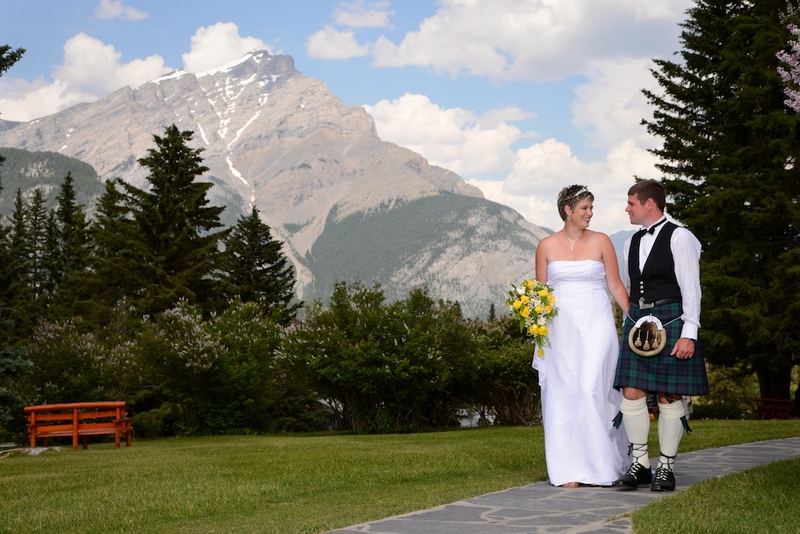 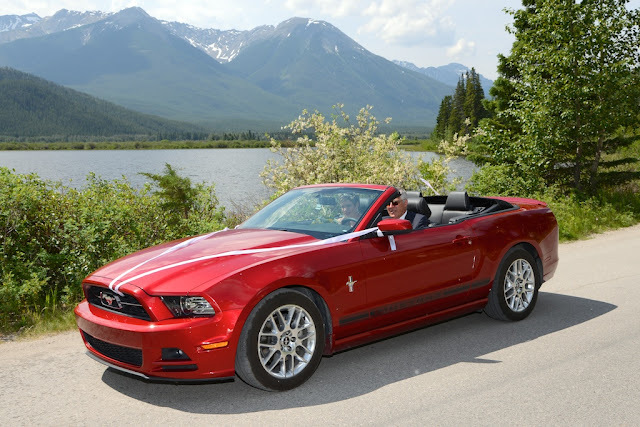 It was a hot, sunny day in Banff ... almost too hot and sunny (if we dare say it). 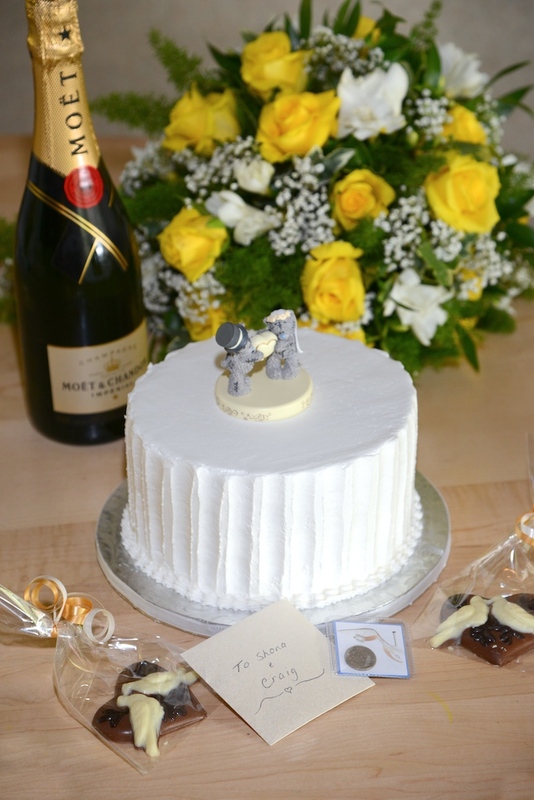 Jane, Shona's mum brought a surprise cake topper for the lemon wedding cake - too cute. 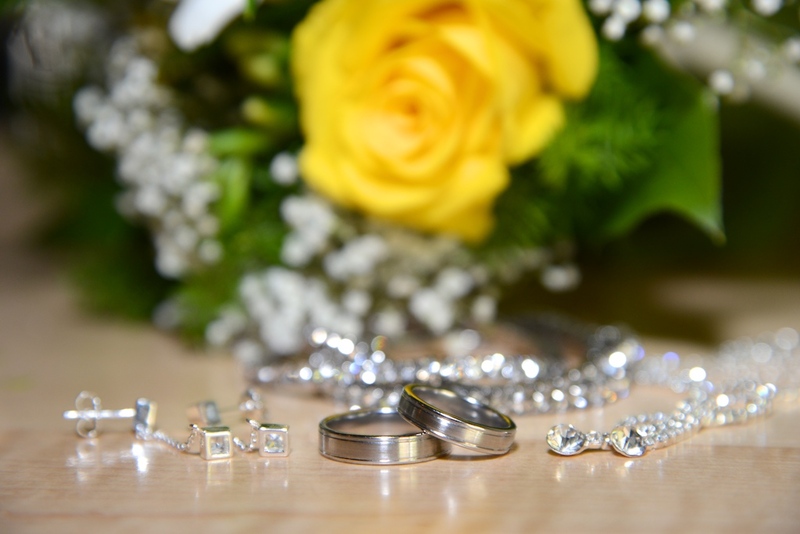 Sharon put the details together for the day. 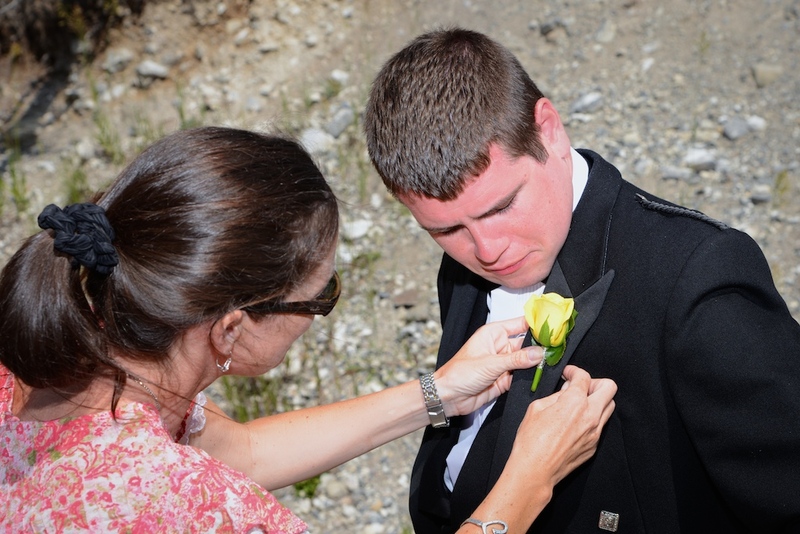 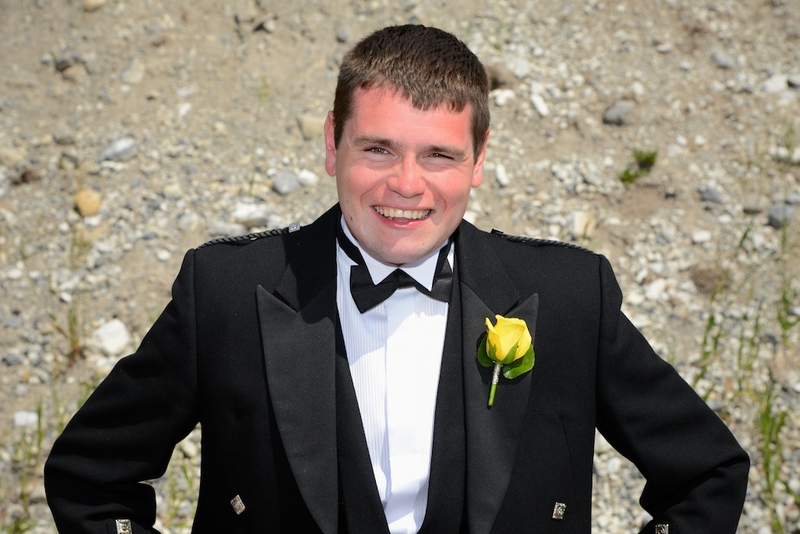 Craig - cool, calm & collected - waited with his parents for his beautiful bride to arrive. 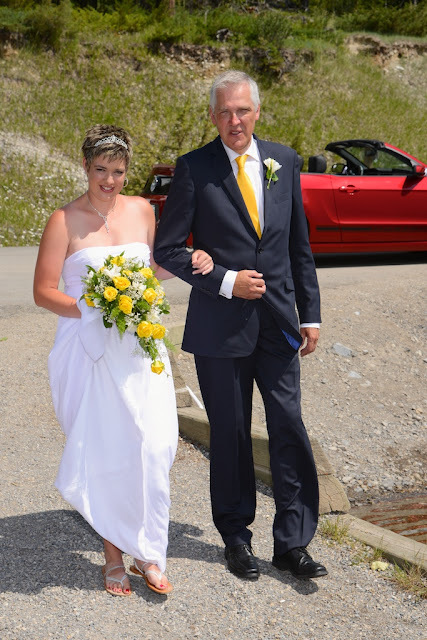 And she arrived in style! 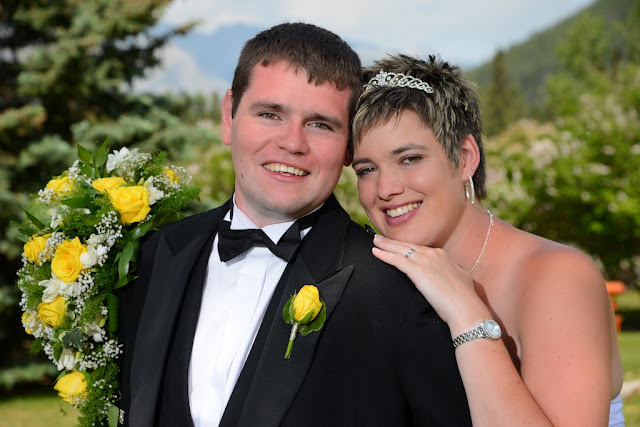 a special place for this couple who have visited Banff many times. 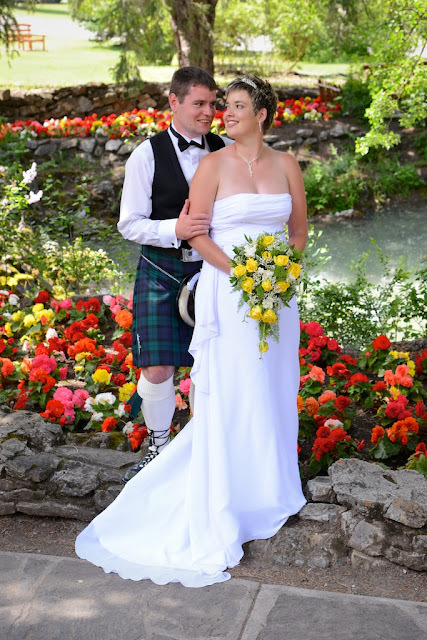 The ceremony was casual, relaxed and fun! The couple brought a little bit of Scotland with them - besides the kilt. Now now, don't fall in Craig. 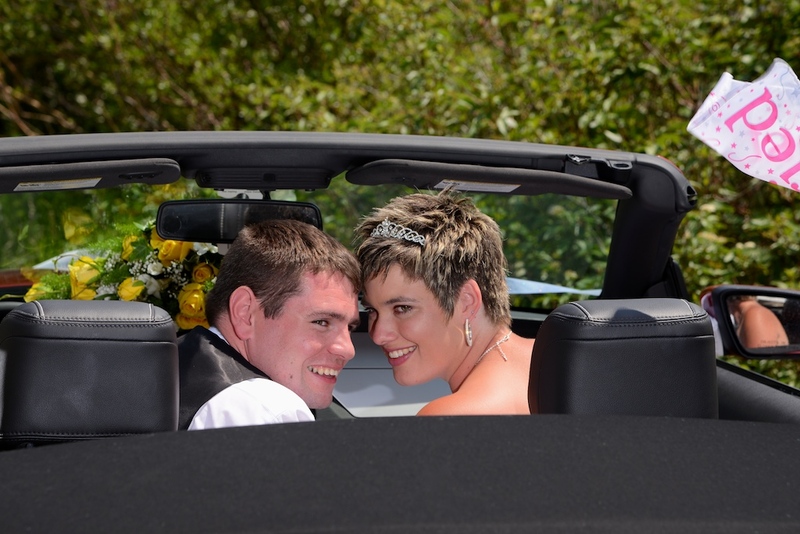 We had fun. 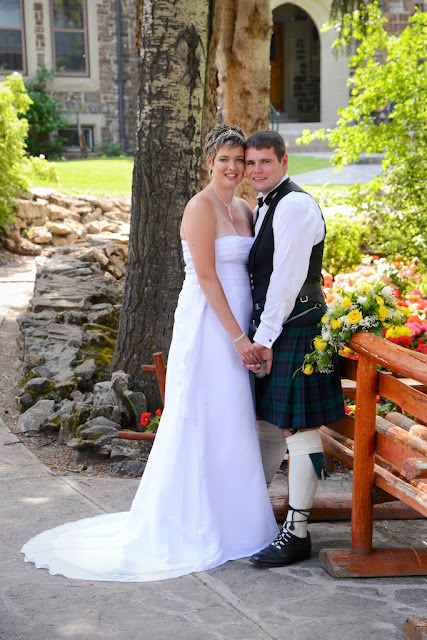 ceremony and as witnesses on their special day. 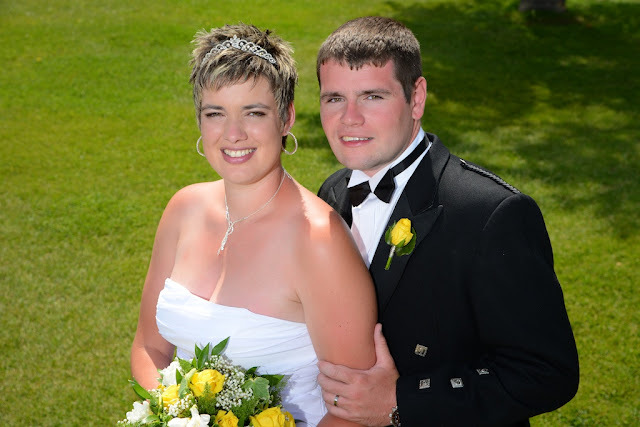 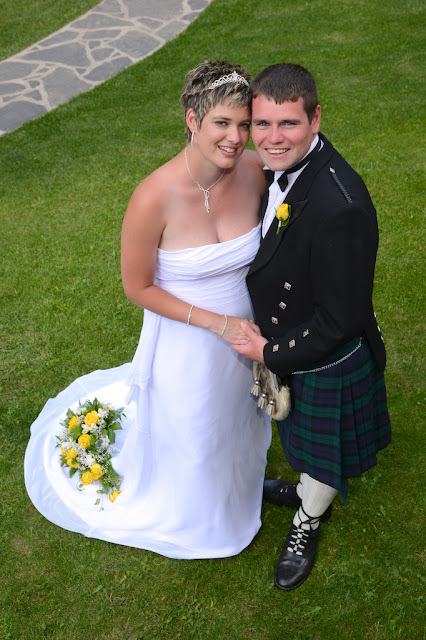 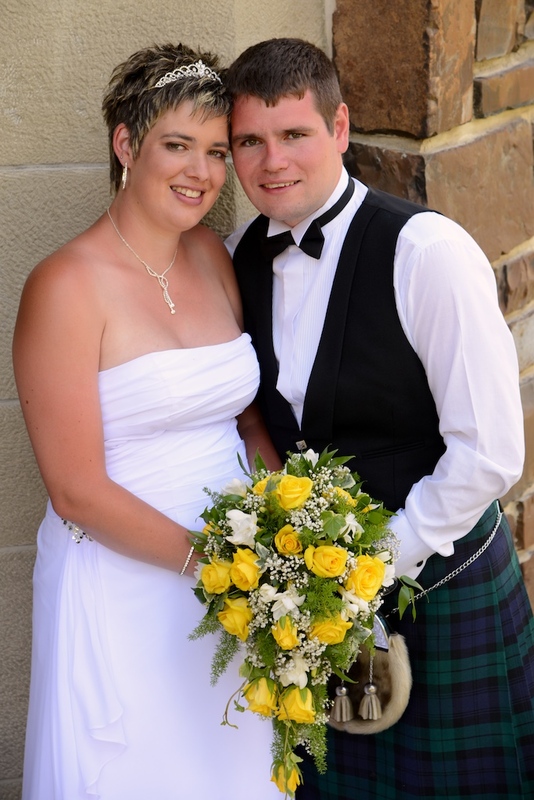 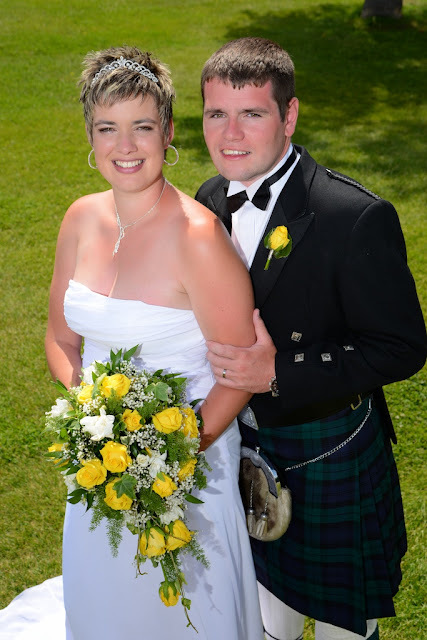 Congratulations to Shona & Craig! 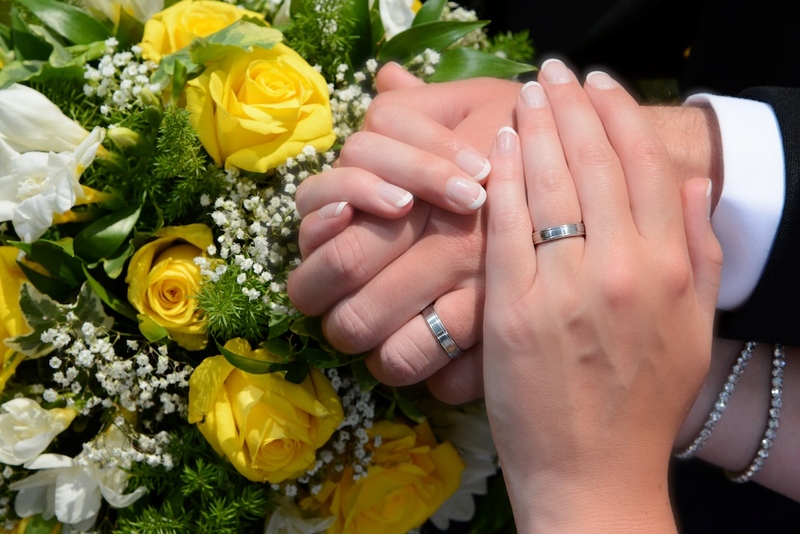 Thanks for letting us be part of your special day.